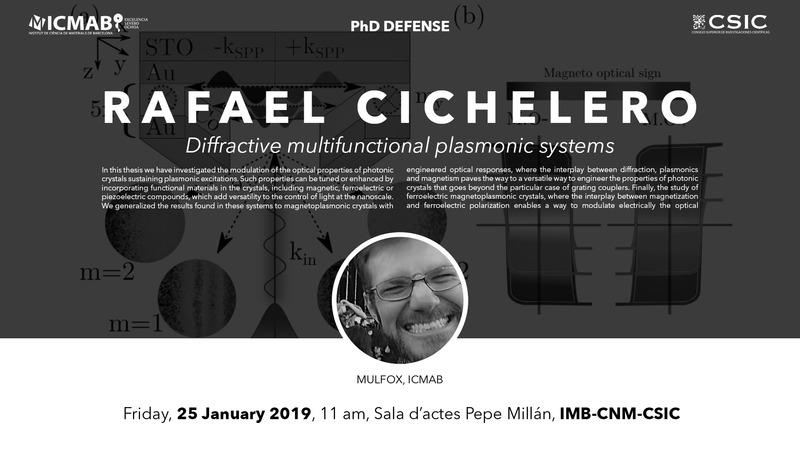 The PhD Researcher Rafael Cichelero from the Laboratory of Multifunctional Thin Films and Complex Structures (MULFOX) group at ICMAB will defend his PhD thesis on Friday, 25 January 2019, at 11 am at IMB-CNM-CSIC. Abstract: In this thesis we have investigated the modulation of the optical properties of photonic crystals sustaining plasmonic excitations. Such properties can be tuned or enhanced by incorporating functional materials in the crystals, including magnetic, ferroelectric or piezoelectric compounds, which add versatility to the control of light at the nanoscale. We generalized the results found in these systems to magnetoplasmonic crystals with engineered optical responses, where the interplay between diffraction, plasmonics and magnetism paves the way to a versatile way to engineer the properties of photonic crystals that goes beyond the particular case of grating couplers. 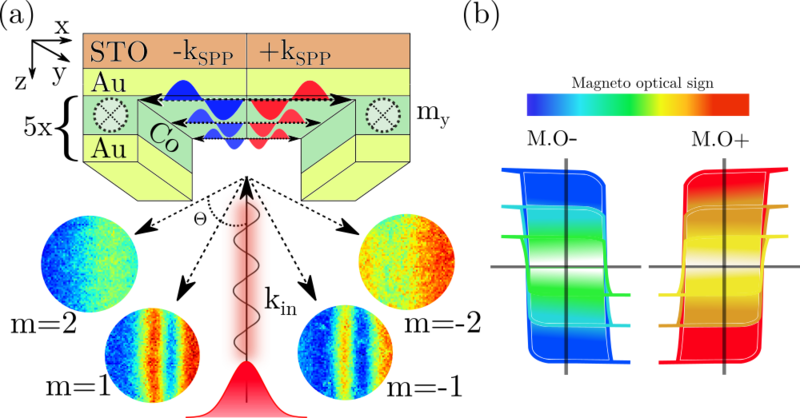 Finally, the study of ferroelectric magnetoplasmonic crystals, where the interplay between magnetization and ferroelectric polarization enables a way to modulate electrically the optical properties of grating couplers.